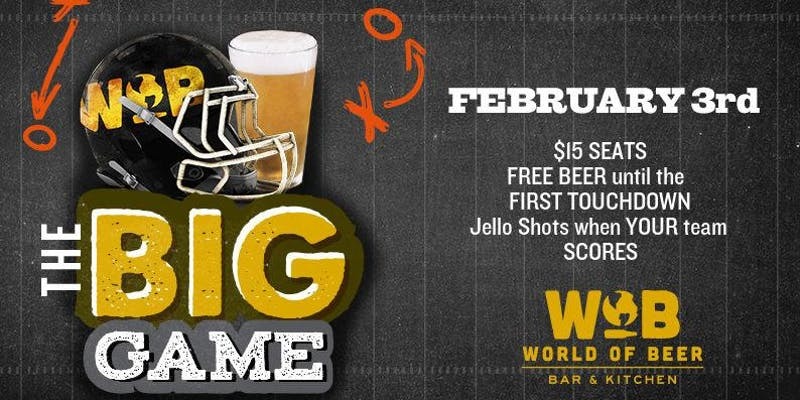 Head to World of Beer Downtown to watch Super Bowl 53! * Each seat is individually for sale. We have a floor plan for referencing once you select your ticket. $15 for your seat and free select beer until the first touchdown! Jello shots each time your team scores a touchdown! We will give out wrist bands color coded to your team. There will be swag and prizes given away!